It’s almost summertime but if you live in the South like we do it’s been hot for months! 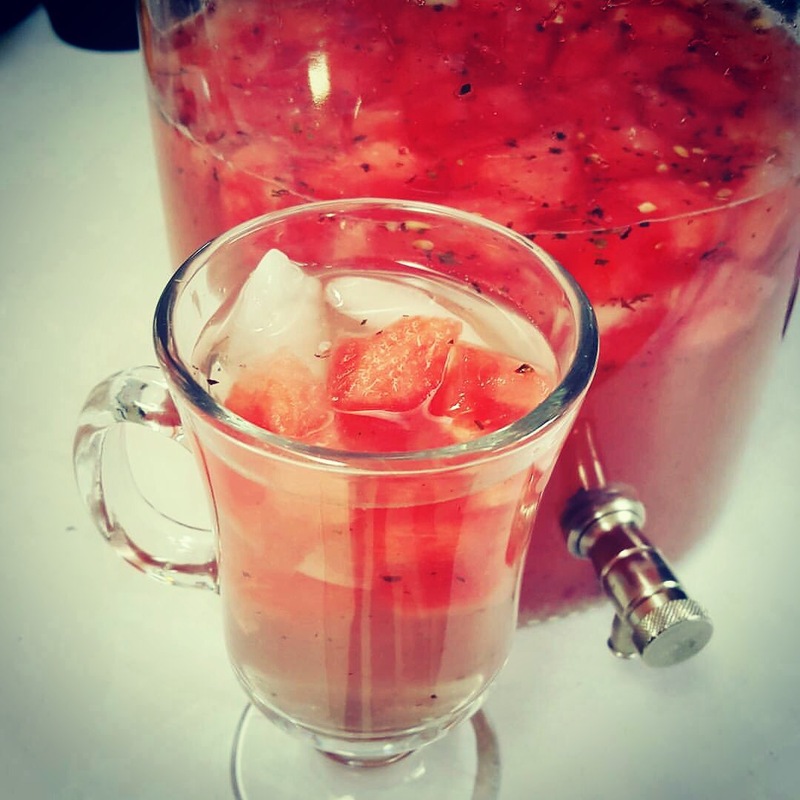 This drink is absolutely refreshing and perfect for those BBQ get togethers or for a ladies night in. Do you have a hard time getting in ALL of your recommended daily water? 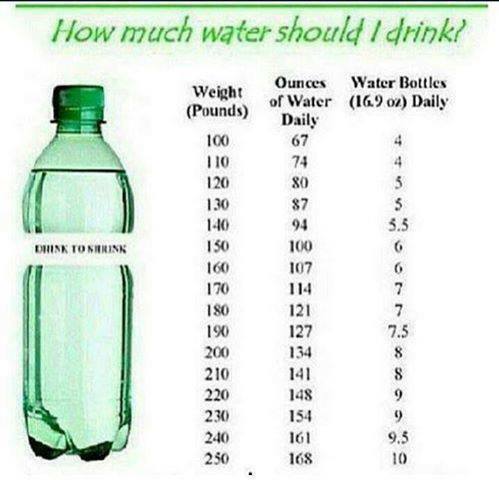 Check out this chart to see what you should be drinking everyday. Below are several Fruit Infused Water Recipes to help you get your daily water intake in! Enjoy!!! Warm the honey and stir into the water prior to adding the fruit. Once mixed and the water has cooled, add in the peaches and vanilla beans in to approximately 2 liters of water. Refrigerate for at least four hours, add ice and serve! Directions: In a 2- to 2 1/2-quart pitcher, combine water, cucumber, lemon. Serve, or cover and chill at least 2 hours or up to 8 hours. Add ice cubes just before serving. Preparation: In a 2- to 2 1/2-quart pitcher, combine water, Pomegranate seed and blueberries. Cover and chill at least 2 hours or up to 8 hours. Add ice cubes just before serving. Add blueberries to skewers as an added touch for each glass. ​Preparation: In a 2- to 2 1/2-quart pitcher, combine water, oranges, and mint leaves. Cover and chill at least 2 hours or up to 8 hours. Add ice cubes just before serving. Add 1 mint leave to each glass as an added touch..
A few oranges sliced thin. A skewer with some extra pineapple on top to nibble on. I put the mint in first and let it sit for 20-30 minutes before adding the lemon. The lemon will overpower if put in too early. Preparation: In a 2- to 2 1/2-quart pitcher, combine water, cucumber, lemon. Serve, or cover and chill at least 2 hours or up to 8 hours. Add ice cubes just before serving. So simple with just the right amount of sweetness and refreshment! Kiwis are naturally tasty and have a lovely sweetness to them, which can be infused into water easily. Skin the kiwis and chop into small pieces. Mix with the sweetener and water. Let rest for 3 hours. You can chill it. You can either strain it, or serve it without straining, keeping the fruits in the water. Serve after 30 minutes. If left for hours, strawberries deteriorate.